Rumors have it that Canon and Nikon will both introduce full frame mirrorless cameras later this year. I believe those rumors to be true. That would put Canikon almost exactly five years behind Sony's original A7/A7R full frame mirrorless camera introduction. What does five years' head start mean? 50 prime lenses, and 13 zoom lenses. Four camera bodies. These are just the full frame lenses in the FE mount itself (not E or APS-C), not counting lenses you might adapt to it. Yes, some of the primes are manual focus lenses, and some are on the oddball side (Lensbaby's 56mm), but these are all lenses that just mount right up to a Sony A7 or A9 series body. Canon and Nikon between them have well over twice the full frame lenses currently available, and third party offerings probably double that again. But those are for the DSLR EF and F mounts. The expectation at the moment is that Canon is unlikely to abandon their EF mount. It's also used on their video cameras, for instance, so bifurcating the full frame lens lineup adds a degree of complexity that I'm pretty sure Canon would rather avoid, if possible. Moreover, Canon made the switch to a modern all electronic mount back in the early days of autofocus: the only real benefit to be gained by changing mount now would be in reducing the flange distance. That can reduce the camera depth—but not if you use the current size hand grips DSLRs have for ergonomic purposes—and open up some new smaller lens design possibilities, most notably in the wide angle range. Nikon, on the other hand, has a tougher problem. Because they've used the same mount from the beginning, they now have a lot of add-on variations they've bolted to it: AI indexing, screwdrive autofocus support, multiple electronic connection sets, mechanical aperture linkage, electronic aperture linkage, and more. Using the existing mount comes with a lot of extra baggage, much of which Nikon is surely now wanting to leave behind (they've left off AI indexing on the D3xxx, D5xxx, and D7500 DSLRs, they left of screwdriver autofocus support on the D3xxx/D5xxx models, and they left off the mechanical aperture links on the E-type lenses). Sony's put up big numbers with their five year head start. Sony has a pretty full lens set available for the A7 and A9 models now, with only one major exception: primes and exotics past 135mm. There is the announced-but-not-yet-shipped 400mm f/2.8, but that's only one of at least a half dozen lenses they're missing above 135mm to fully compete with Canon and Nikon. To compete in mirrorless, both Canon and Nikon need a strong story. They're going up against a line of four cameras and 63 lenses, after all. You can't just say "we make better cameras, and here is one camera and a handful of lenses." Sony is clearly offering a lot of choice to mirrorless users interested in full frame. 12mp, 24mp, 42mp. And these are third generation camera designs, too. Any lens you need (up to a point). It's going to be interesting to watch this game play out. Play out it will, because Canon and Nikon can't just sit around any longer. Both are experiencing some erosion in key DSLR product lines, and both would love to have the simpler manufacturing and potentially lower costs of producing mirrorless (versus DSLR). My belief is that Sony's biggest threat is Canon. Why? Well, there's Canon's size in the camera market (50% of all interchangeable lens cameras sold are Canons). There's 100m Canon lenses in customer hands. They're also just as good at marketing as Sony is. But the biggest point may be this: so far in surveys I've done it's more likely that a Sony A7/A9 shooter came from Canon than Nikon. Canon wants those customers back, and they'll move aggressively to make that happen. They don't want any erosion in a market they dominate. 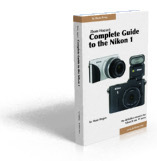 Nikon, on the other hand, is an enigma. They're both tough to discount (because of their long-established leading engineering), and they're tough to worry about (because they are shrinking in size while their marketing is not as strong). While they have almost 100m Nikkor lenses in customer hands, it's unclear whether they'll continue that legacy forward. Nikon also seems less concerned about competitors at the moment than they are at stopping the slide in volume they've experienced since 2013. Most bets are on Photokina for the game to start. That means August or September product announcements and a lot of hype at the show itself (this year starts September 25th). Funny thing is, the game isn't just going to be played by Canon, Nikon, and Sony. I'll wager a bet that Leica has a new full frame camera coming, and that Fujifilm and Hasselblad will take their mirrorless medium frame to 100mp at the same show. What that means for Sony is that they're going to be fighting a two-front battle. The A7Rm3 has to hold its own against a GFX100 and X2D, while the A7m3 has to hold its own against Canon, Leica, and Nikon offerings. Competition is good. Sony can't stand still. They're going to need to flesh out the features, ergonomics, and performance of the A7 and A9 models even more than they have. Because the competitors are coming. The one big arrow they have in their quiver at the moment, though, is lenses. 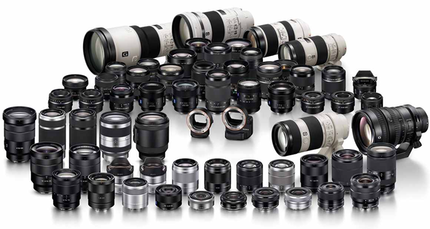 I don't expect Sony to slow down at releasing new FE lenses.